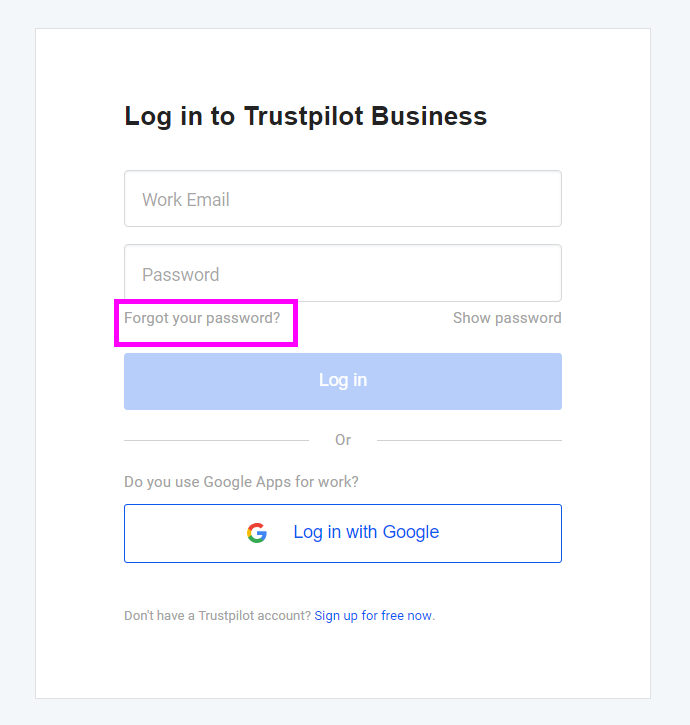 If you're a business user and have forgotten the password for your Trustpilot Business account, follow these steps to reset it and regain access to your account. On the Trustpilot.com home page, click For companies in the upper right-hand corner. You'll be redirected to the Trustpilot Business site. Select Login. Note: Displayed background image may differ from pictured image. Enter the email address that you use for your business login and select the Send email button. Within the next few minutes, you'll receive an email that contains a link that will take you to a screen where you can reset your password. If you're still having problems logging in, you might have some problems with your cache. Try to log in with your password from an incognito browser window. You can open an incognito window by Ctrl+Shift+N on a Windows computer or Cmd+Shift+N on a Mac. If this works, clearing your cache should solve the issue. If that doesn't work, get in touch with our Support Team.